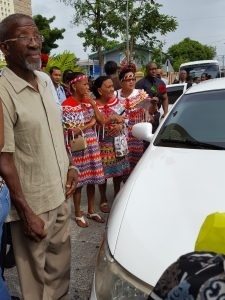 The Carib Queen is seen in this photo in happier times. 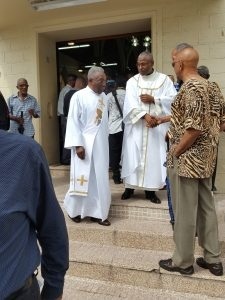 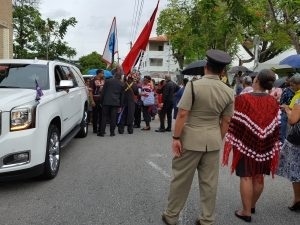 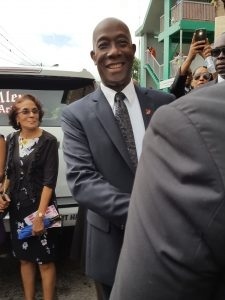 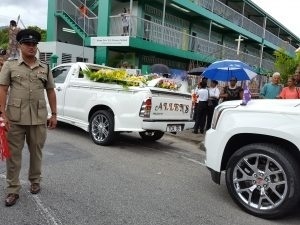 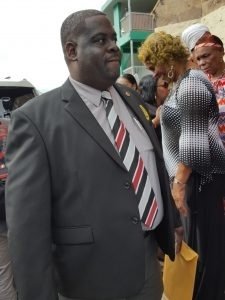 As the coffin bearing the body of the late Carib Queen Jennifer Cassar is placed into the hearse rain begins to fall lightly upon those gathered outside the Santa Rosa Church in Arima for the Queen’s funeral. 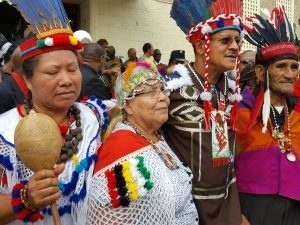 Some of the elders amongst the group could be heard saying “showers of blessings for the Queen”. 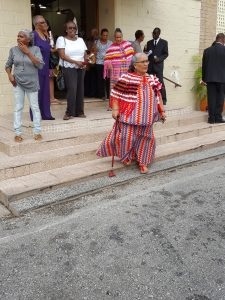 While others commented “there she goes again crying”. 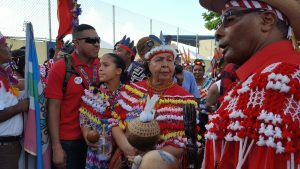 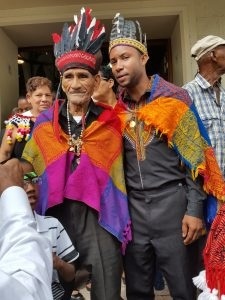 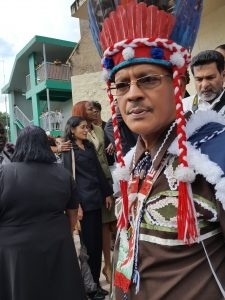 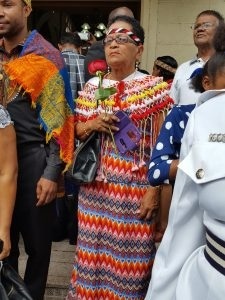 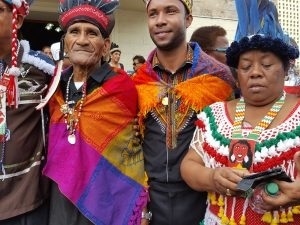 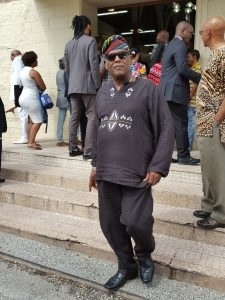 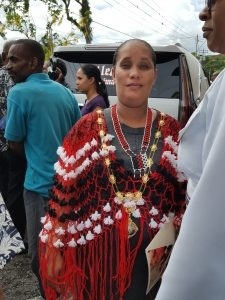 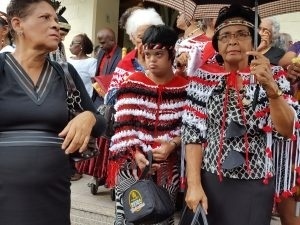 In our last blog, https://imagefingerprint.org/2018/07/the-indigenous-people-carib-people-of-trinidad-and-tobago-have-lost-their-queen/ we looked at the Queen of the First Peoples of Trinidad and Tobago, Ms. Jennifer Cassar in happier times. 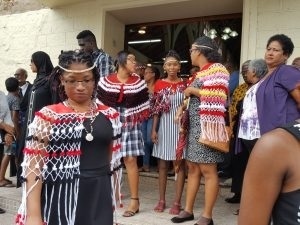 Yesterday the country said their final goodbyes to her in a send-off befitting the Queen that she was. 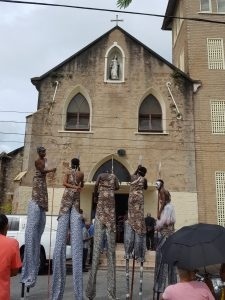 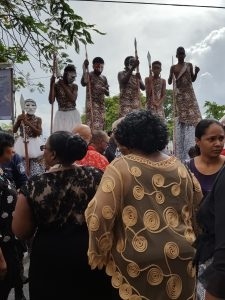 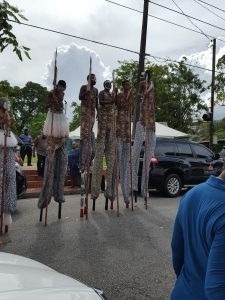 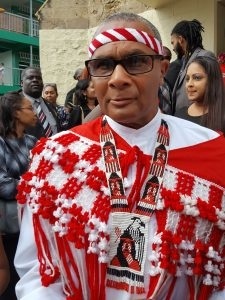 Moko Jumbies stood tall and proud outside the church as though they were on guard. 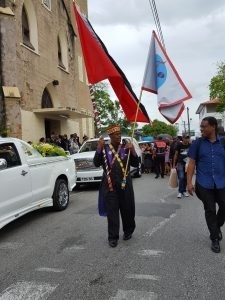 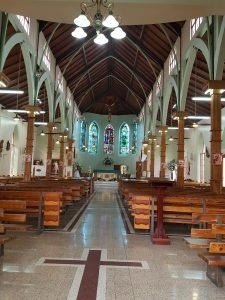 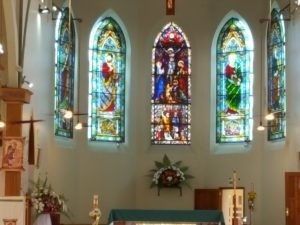 After the service, they then headed the procession which led the Queen to her final resting place. 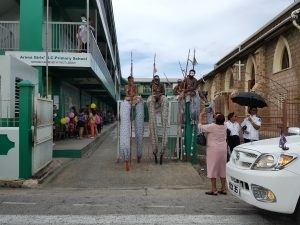 Our photos and videos tell of the love and appreciation for Ms. Cassar. 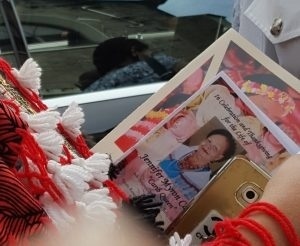 She is gone and will always be loved and remembered. 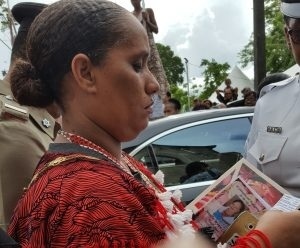 Her Worship, the Mayor of Arima, Ms. Lisa Morris Julian is seen here holding a programme bearing the photo of the late Carib Queen.